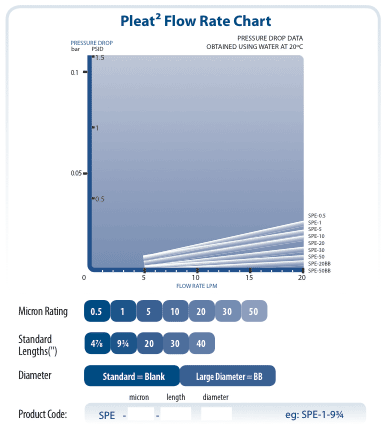 The SPECTRUM Pleat2 polyester filter has a broad range of micron ratings, lengths and large diameter options making it the ideal entry-level pleated filter cartridge. Constructed from a single sheet of polyester media, this cost-effective pre- filter is capable of reducing dirt, sand, sediment, silt, rust, scale and other particulates from incoming water supplies. Cartridge integrity comes in the form of its thermally bonded vinyl plastisol end-caps, fusing the pleat pack around its tough inner polypropylene core. 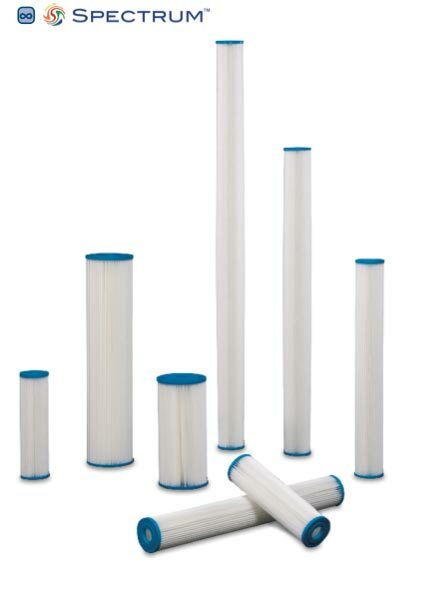 ￼￼￼￼￼￼￼Designed to fit a wide range of industry standard housings in 47/8″ to 40″ configurations, with large diameter options, the Pleat2 is the ideal choice for many market applications in either pre- or final stage filtration.